Wisdom tooth causing you pain? We can help! From the ages of 17 to 24, most people will experience the eruption of some or all of their wisdom teeth. 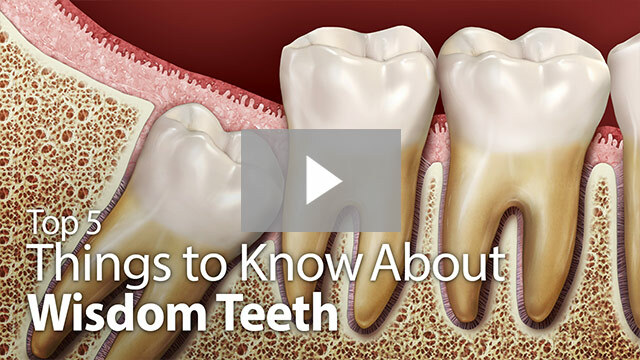 These are the last set of molars to come into your mouth, and they can result in many complications for your gums and other teeth. In many cases, jaws no longer have adequate room to comfortably accommodate the presence of additional teeth at this stage. Wisdom teeth can also be susceptible to decay and infection due to their location. To prevent any complications and alleviate the pain associated with the presence of these molars, Amazing Smiles can perform a wisdom teeth extraction. To schedule a consultation, please call our Allen office today. During a normal wisdom tooth extraction, you’ll be placed under I. V. sedation. This allows the doctor to work swiftly, which should be in your best interests. If a wisdom tooth is impacted (only partially erupted), your doctor may need to break the tooth into smaller pieces to effectively remove it. Don’t worry – this is a very common method of extracting wisdom teeth, as it can prevent other teeth from being damaged during the surgery. Recovery can vary from patient to patient, but after you’re fully healed, you’ll notice less pressure in your mouth. Since the wisdom teeth are no longer pushing against the rest of your teeth and jaw, you should feel comfortable while eating and chewing again! Think about undergoing wisdom tooth extraction if you’re experiencing oral discomfort. Please contact us today to arrange a consultation for your wisdom teeth extraction. Amazing Smiles sees patients from Allen, Lucas, Fairview, McKinney, Plano, and surrounding towns. If this will be your first time visiting our practice, please take a moment to follow the instructions listed on the new patient page.